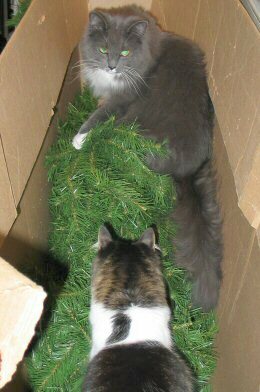 Your Instructors on how to assemble and decorate a Christmas tree are Iris and Fern - 2 fluffy tailed kitty sisters! we didn't even know existed! and we are ready to begin.